Home LISTEN! SWTOR Escape Pod Cast 77 – All the Hard Mode Flashpoints! SWTOR Escape Pod Cast 77 – All the Hard Mode Flashpoints! This week @AIESema, @MaxTheGrey and Astromech EPC-77 talk about hard mode flashpoints. We discuss the updated in 3.0, the very new hard modes released this week, as well as all the 50-59 hard modes we’ve done over time. We also cover news for the week from SWTOR in general and from our guild, Alea Iacta Est. SWTOR Escape Pod Cast 76 – Daily Missions in 3.0! 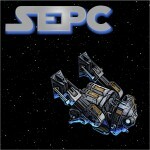 SWTOR Escape Pod Cast 78 – All About In-Game Events!